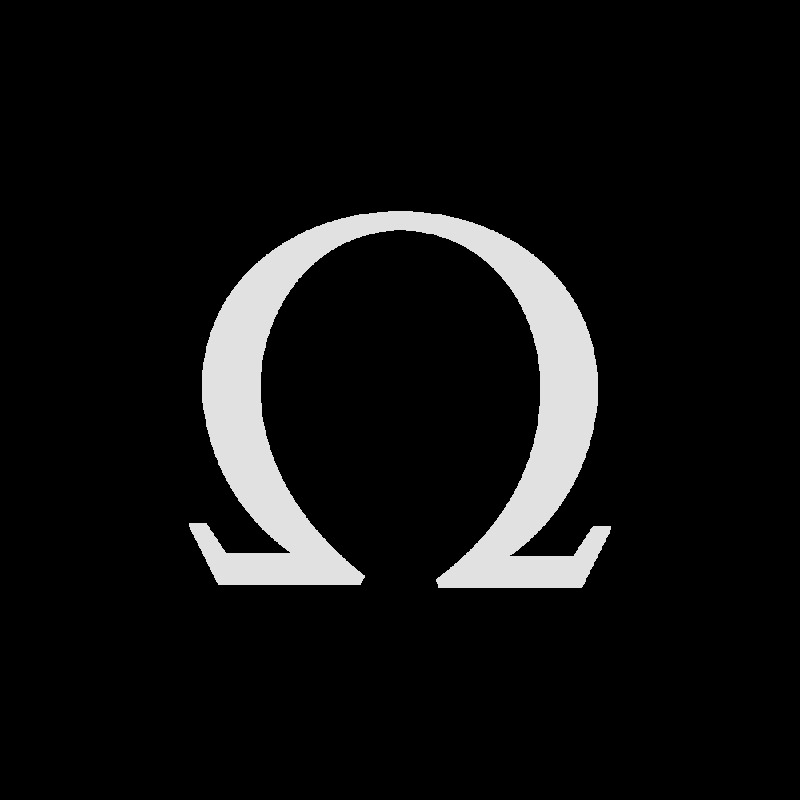 Since 2011, OMEGA has been a partner of Orbis International, a not-for-profit organisation dedicated to providing high-quality eye care and training around the world. 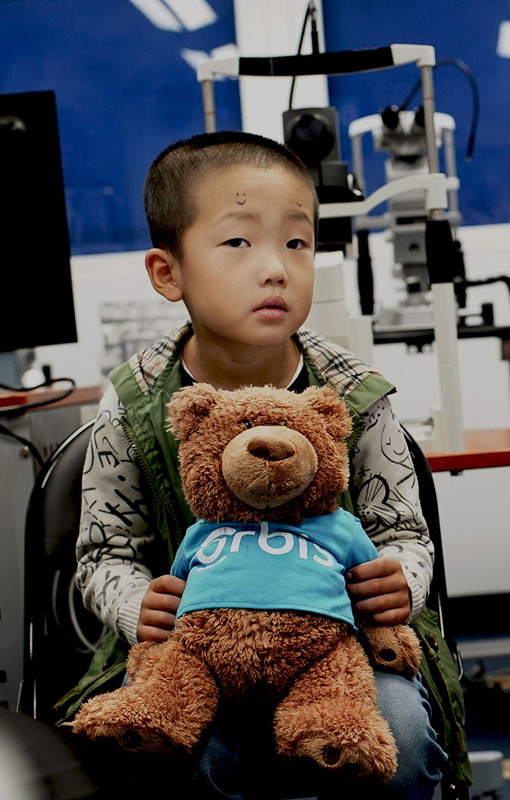 As well as helping to fund the Orbis Flying Eye Hospital, the brand donates a portion of its profits from five top-selling timepieces and provides comforting teddy bears to children undergoing surgery. Through ambitious initiatives and a devoted team of volunteers, Orbis helps break the cycle of poverty and depression associated with preventable blindness. What is the ethos of Orbis International? Orbis is an international non-governmental organisation and its main mission is to prevent and treat avoidable blindness. The big thing for me about Orbis has been training; we’re getting out there and teaching and inspiring people to improve the sight of their communities. Over the years we’ve done hundreds of thousands of cases but it’s an even greater impact because of the training we do. What do you do at Orbis and why are the activities of the organisation so important? I’ve been a volunteer since 1990. My two specialities are cataract surgery and corneal transplants. 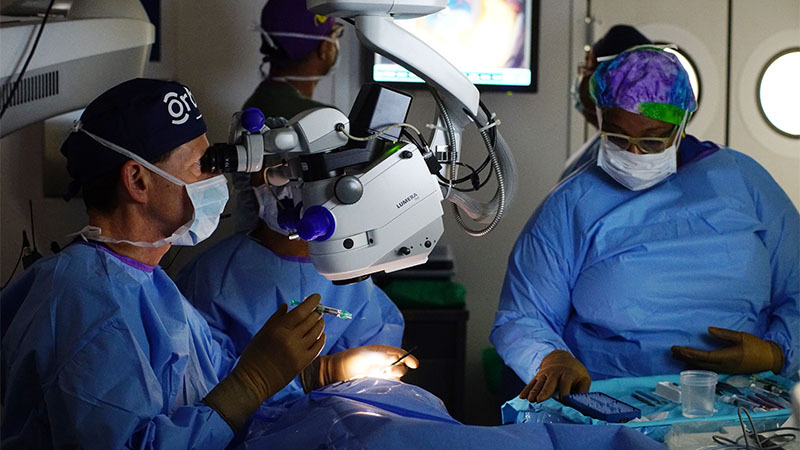 Cataracts are the leading cause of preventable blindness in the world and the surgery is fairly straightforward but it’s just a matter of making sure people have the right equipment and the proper training. Again, the key thing about Orbis is the training. So we have a model of ‘give a man a fish he’s fed for a day; teach a man to fish and he’s fed forever.’ We talk a lot about sustainability and teaching the next generation. How does Orbis deliver its services? 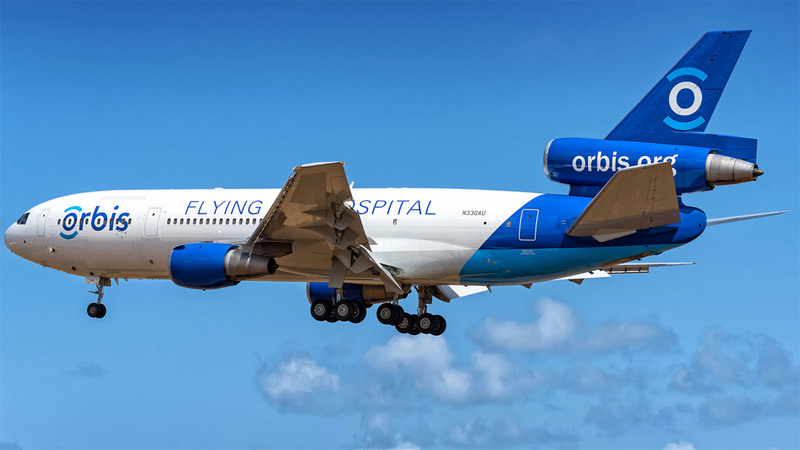 The Flying Eye Hospital is probably the most recognisable feature of Orbis. 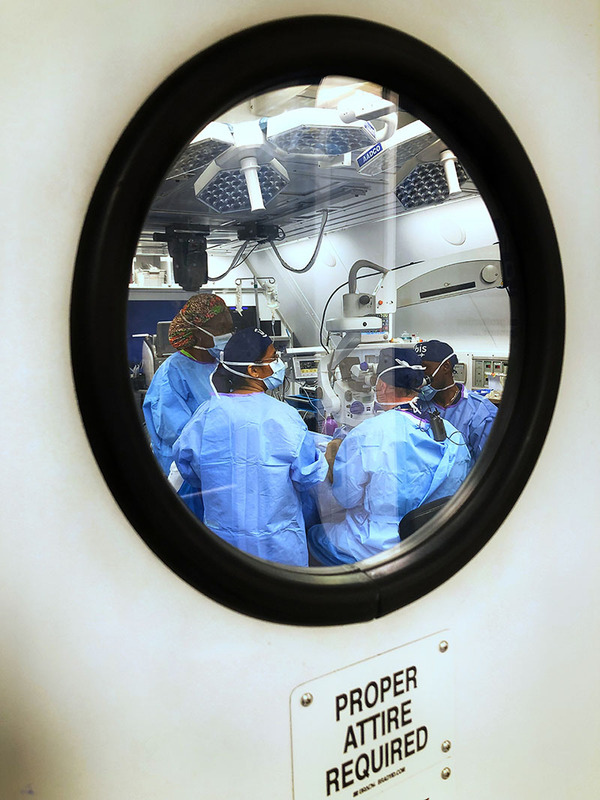 It’s the world’s only flying eye hospital and it’s a technological wonder. But there’s also teaching and mentorship availability through Cybersight, which has really developed nicely over the last decade. It’s an online medicine platform that allows us to keep in touch with doctors we work with and share interesting cases, ask questions, provide lectures etc. It’s a great way to stay in touch throughout the year and throughout the various time zones. 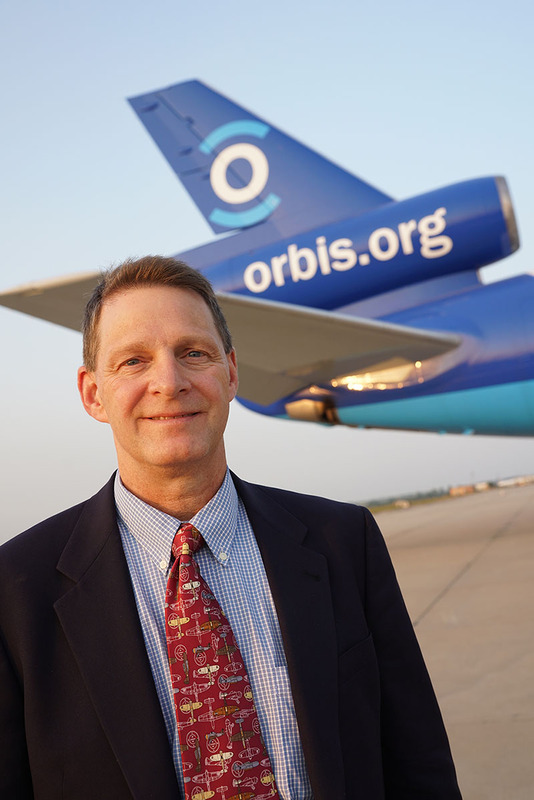 What are some of the challenges involved in your work with Orbis? Sometimes it’s getting to the location where we’re going to work. You also have to be willing and able to work long hours – although I’m certainly used to doing that – and adjusting to different time zones and using equipment that we’re not quite used to. I’ll often work on the plane itself, which is almost identical to what I work in at home but then one or two days we’ll work in the local hospital and there we have to be more flexible. 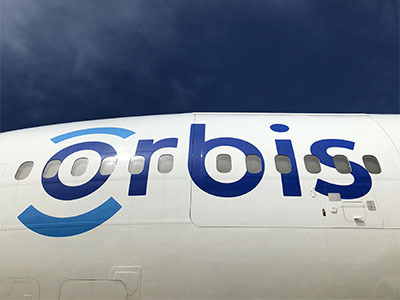 There’s so many groups of people that work at Orbis, whether they’re engineers, technicians, flights engineers, nurses – it’s all just great people coming together for a unified cause. 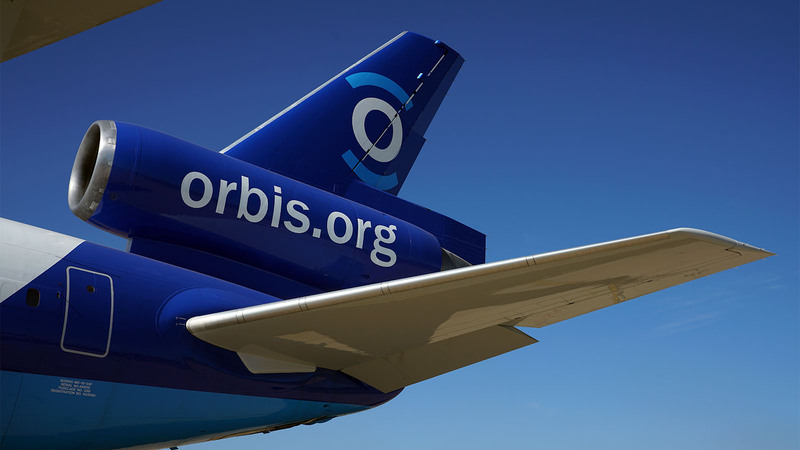 From your time with Orbis, please describe one minute that changed the world. One story that comes to mind is when I was participating on a trip in Casablanca, Morocco, which is a very unique place. When we do these trips we can only do so many surgeries, so I’m alloted maybe only 10 slots for the week and it’s not unusual for me to see more than 100 people in a screening day to decide who is going to get the surgery. On this particular trip, I picked out a young woman in her early 20s who had been blind since aged 10 with a condition called keratoconus. 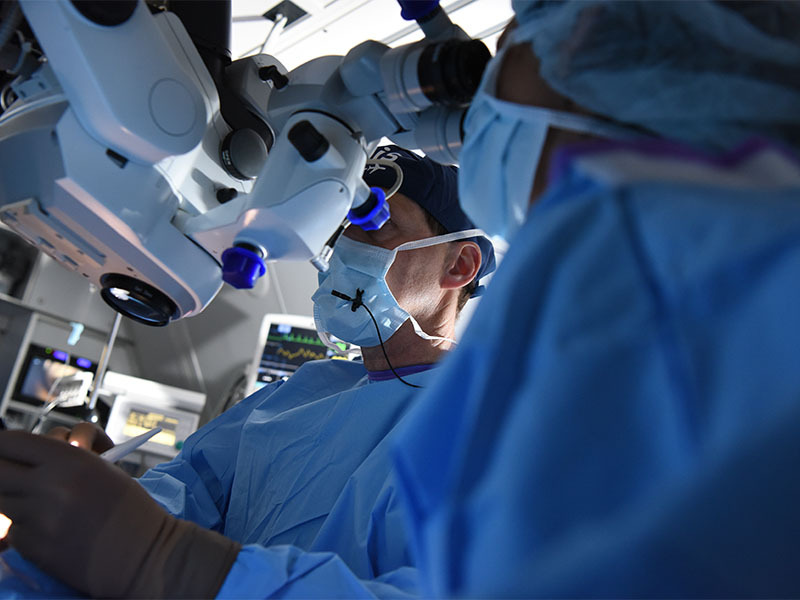 This is a condition that progresses through time and leads to blindness but with a corneal transplant we can restore vision. This girl was looking at a future of poverty and isolation and not being able to contribute to society. This was in the days of polaroid cameras so I took a picture of her after the surgery and showed it to her and it was the first time she had properly seen herself in probably 15 years, and she just started crying. To know that we had helped someone who could now re-enter society and not feel isolated was just a fantastic moment for me.